How do you take a holiday from good to great? 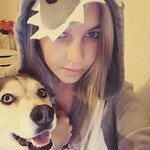 I’m pretty content as long as I have my family, my dogs (#crazydoglady), and really yummy food. I make pretty much the same meal for each holiday and each time, I look forward to the cornbread dressing most of all. It is absolutely in the top 10 list of foods. I love any variety, I love the baked ones, I love the ones made on the stove, I just love them all. 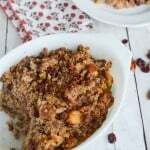 This Sausage and Cranberry Cornbrad Dressing is such a delicious version. 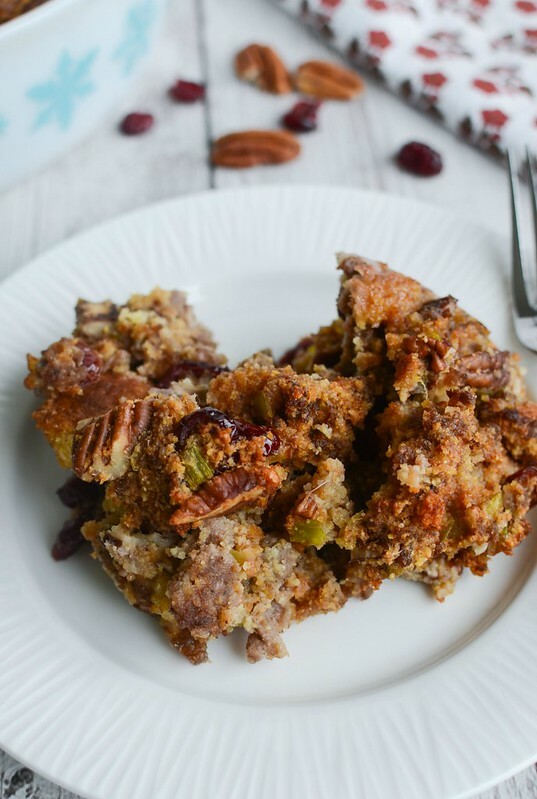 It has the cubed cornbread, leeks (which I use in all my dressings – you have to try it if you haven’t already), dried cranberries, and pecans. Plus, the star of the show, Jimmy Dean® Regular Sausage! The savory sausage with the sweet cranberries is so delicious and then all the different textures… seriously, it doesn’t get better than this! 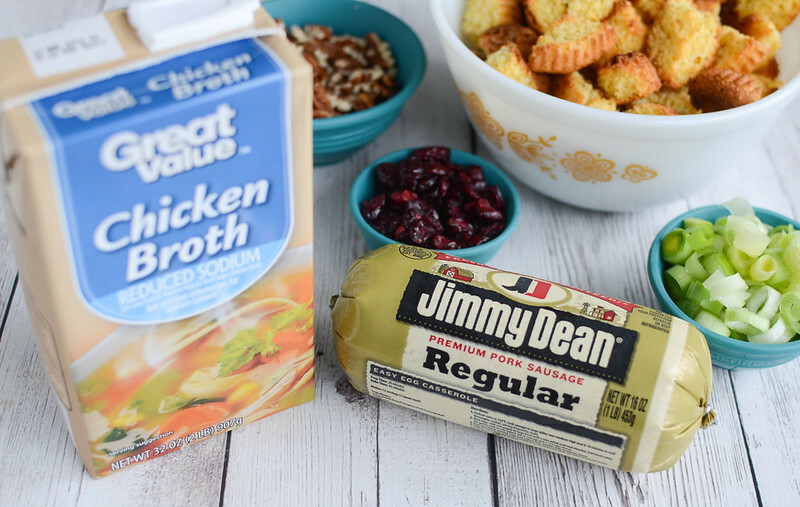 You can find the Jimmy Dean® Regular Sausage in the refrigerated meats section at your local Walmart and be sure to check out the Great Value products. I just love how easy Walmart makes shopping – especially this time of year when you’re constantly rushed and just need to get everything at one place. Walmart is perfect for that! Check out joytothemeal.com for more recipe inspiration! How do YOU bring #joy2themeal? In a large mixing bowl, toss together corn muffin cubes and pecans. Set aside. In a skillet over medium heat, melt 2 tablespoons of butter. Add leeks and cook until softened, stirring occasionally, for about 10 minutes. Add Jimmy Dean® Regular Sausage and cook, breaking up the sausage, until no pink remains. Drain the mixture and return to the pan. Add the dried thyme, salt and pepper, chicken broth, and cranberries. Bring to a boil, stirring to scrape up all the bits on the bottom. Remove from heat and quickly whisk in the eggs until combined. Pour the sausage mixture into the cornbread mixture and stir gently to combine. Pour into a casserole dish. Bake in preheated oven for about 35 minutes or until set. 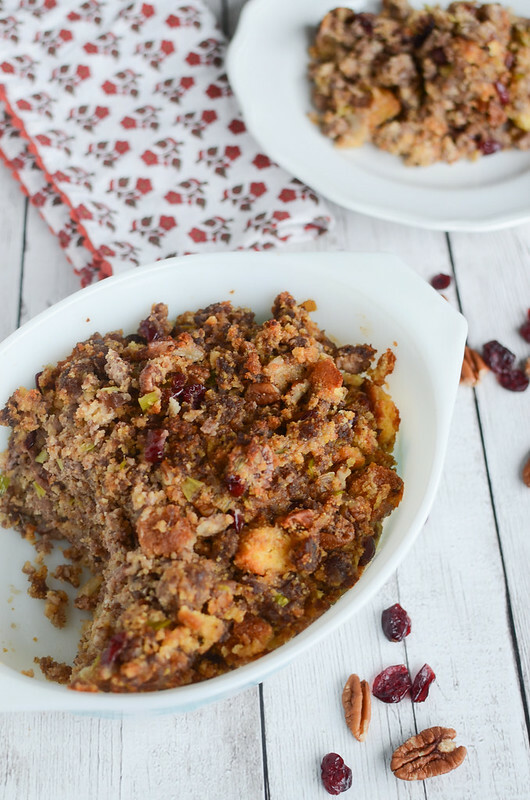 7 Responses to "Sausage and Cranberry Cornbread Dressing"
Cornbread dressing is a favorite at our house! Love the addition of the sausage! What does “cubed” corn muffins mean? Cut into actual cubes or just broken into pieces? Oh man, this looks amazing! Dressing is my favorite part of the meal!